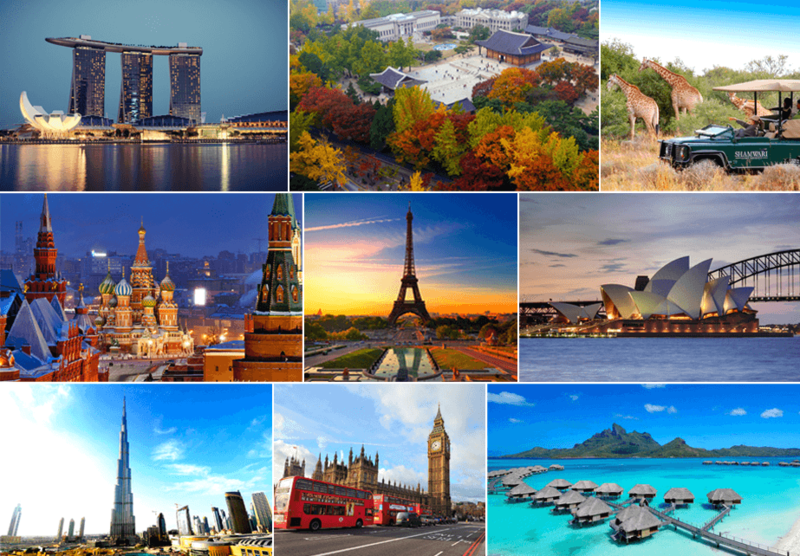 At iEagle, we are on a mission to connect you with different parts of the world through cheap flights from the United States. Booking travel to anywhere in the world was neither easy nor cost effective until iEagle partnered with leading airlines and started offering cheap flight tickets to top destinations in the countries across the globe. Each of the capital cities on the globe is a must-visit tourist destination. Since our inception, we have been striving to make world tour and travel cheaper than ever by offering cheap airfare deals on flights from USA. Each of the cities on the world map is a tourist place, and each tourist place has its own attractions. One is different from the other in culture, history, heritage, lifestyle and tourism. Some cities are known for picturesque sightseeing, some are full of offbeat things, some are suitable for food tourism, some are famous for heritage sites, some are popular rich history, and some others are close to nature. Check our database of cheap flight tickets from the US to the popular destinations listed below, including Dubai, Manila, Seoul, Bangkok, Cebu, Beijing, Tampa, Phuket, Singapore, Hong Kong, Mumbai, Shanghai and others. You can save on flights to any place on our alphabetical lists of all destinations, with cheap airline tickets from iEagle. Stop by iEagle.com to get the best airline deals for flights from USA to anywhere in the world. One of the best international flight booking sites, iEagle has made world travel easier and cheaper. We book cheap flights across the world with major airlines flying from the US. We get secret airfare deals from our airline partners for flights to top destinations on the globe. Whether you fly in economy class or business class, we promise to meet your requirements and help you save on air travel to any place in the world. Do you often travel to major cities on a short notice? Don’t worry! iEagle books cheap last minute flights too.